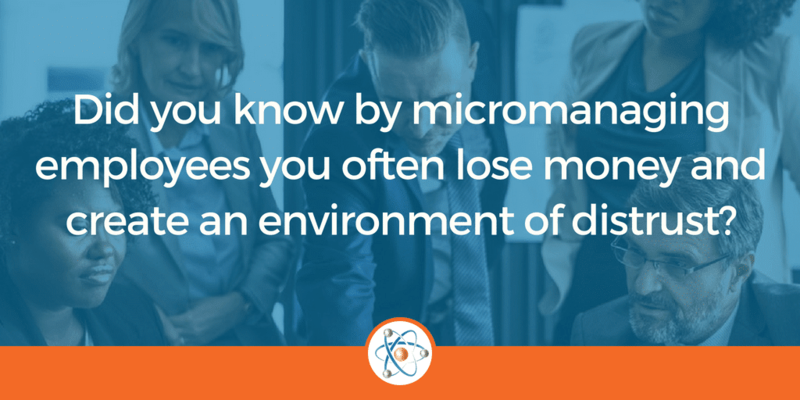 At Atomic Revenue we are huge proponents of self-managed teams. 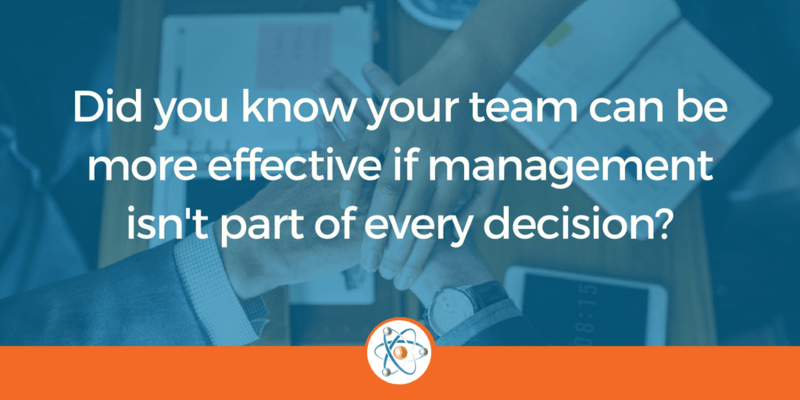 Not only do we value the expertise and capability of everyone we hire, but we also recognize the huge opportunity for reducing costs and improving results when management time and energy can focus on progress versus oversight. We use several methods to facilitate a culture of Guide and Support versus Command and Control. Before we dig into the “how”, it’s important to understand the “why” so let’s first consider the differences between Command & Control versus Guide & Support work environments. Employees don’t understand why they are taking an action, they just know that this is the action they have been told to take. With Guide & Support management, everyone at every layer of the organization becomes dedicated to the same company objectives. We don’t need as as many managers because leadership provides the guardrails within which our teams are authorized to make decisions. Guide & Support cultures utilize the hands-on expertise of employees to determine the best approach for everyday operations. Management is not required to take part in everyday, frontline decisions. In a Guide & Support environment, There are few conversations at all about non-performance, or even performance improvement, because management conversations take place in a support role not in a command role. The systems and tools are in place so that everyone knows exactly how their performance will be measured, and as a result, management focuses on improving operations not overseeing operations. Why is Command & Control Workplace Culture Bad for Business? More work: It’s hard work to manage people when they have no autonomy or authority to make decisions. Under utilization: You hire smart and capable people, give them the responsibility of making your business better–they will be more loyal and appreciative when they bring more value to your organization. High risk: When work doesn’t go as planned, which happens often, your team is not empowered to handle the challenge. The result is lost productivity, dissatisfied customers, disgruntled workers, management stress, opportunity costs, and the list goes on-and-on. Why is Guide & Support Workplace Culture Good for Business? Cost-effective: Less managers and supervisors means that you save money on overseers of work and hire more producers of work. The final key area of consideration in Command & Control versus Guide & Support management is training. When employees know the boundaries of their decision-making capacity, they can independently represent the company’s best interests and confidently respond to challenges as they arise. Train your team to know when they are about to bump into a guardrail and who to ask for help before the problem escalates.. Develop KPIs to quantify performance and provide everyone visibility as to where they stand in regard to agreed upon performance. If people understand the bounds of their position they have full authority to make decisions within those guidelines. The wider those guidelines, the more accountability an employee has earned to make decisions and take action in the company’s best interests. If you’re interested in learning more about Guide and Support management don’t hesitate to reach out to us!